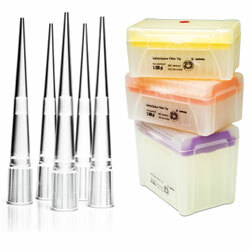 What is the right pipette tip for you? When you’re shopping for pipette tips its easy to get lost in all the options, from bulk tips to macro tips, there is a range of choices for every application. To help you sort through the ocean that is the pipette tip market, we’ve compiled a basic list of pipette tips. While this is not a comprehensive list of every single pipette tip on the market, it is a list that includes the most common pipette tips. What type of pipette tip should I use? Low Retention Tips. Low retention pipette tips are designed to help reduce sample sizing by as much as 3-to-5 times compared with traditional tips. They’re designed using polymer technology that makes the inner surface of the tip more hydrophobic, resulting in a significant reduction in sample size. Extended Length Tips. Extended length tips are widely used in applications where the bottom of a deep container must be accessed without the user touching the side area. These products can help you to minimize issues with sample contamination and reach the bottom of long narrow vessels without working discomfort. Filter Tips. Filter tips prevent aerosol transfer which is essential when working with sensitive assays. The filter minimizes contamination by preventing particles from transferring to your sample. Sterile Filter Tips. Sterile filter tips are designed to help prevent liquid from accidentally breaching the inside of the pipette and protect against aesorol intrusion within the tip. They’re considered the ideal tip choice for application involving forensic and genetic analysis work. Gel Loading Tips. Gel loading tips have a long and thin capillary section that is used to fit in between gel plates. This enables the tip to accurately fill the gel combs. 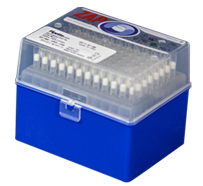 They are perfect for sequencing gels or IEF tube gels. 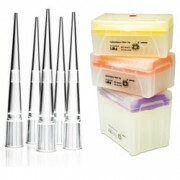 Pipette.com offers a comprehensive line of pipette tips (over 10+ major brands of pipette tips), for the right pipette tip for you visit http://pipette.com/pipette-tips. If you still need help choosing the correct pipette tip for your application, contact a Pipette.com Team Member at 800-243-3232.